"It has been an eventful month since I last updated you on my 10 mile challenge. One in which I have, indeed, run the full 10 miles. Last March it had still never crossed my mind to run anywhere. I was the heaviest I have ever been and did almost zero exercise. Yesterday, 9 months after I went for my first jog/walk experiment, I ran my first half marathon. Bonkers. I still can't quite get my head around it. 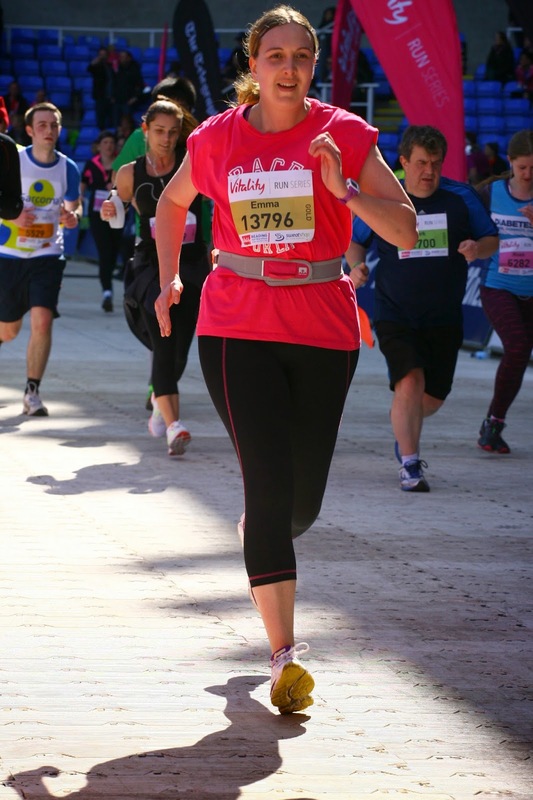 I ran the Vitality Reading Half Marathon yesterday in 2 hours, 27 minutes and 43 seconds. It was well within my 2.5 hour goal but still a long way off my original plan. The weather was gorgeous (I got a bit sun-burned!) and I loved every second of it. I just wish my legs hadn't felt so tired as my head and my lungs wanted to go faster. My training went well right up until Christmas when I experienced a groin injury. It has been a slow recovery and I only just feel like I'm approaching the same level of fitness that I had back in December. In the past month I have completed my long training runs, 10 miles, 11 miles and then 13 miles. I had a two week taper (for taper read... eat lots of food and watch TV instead of going running). I knew I could manage the distance but until I crossed the start line yesterday morning, I had no idea what my game plan was going to be. I just went with the flow of things and waited to see how I felt. The Reading route included two long, hard hills but it did also include some great town-centre areas where the crowds were excellent. The shouts of support definitely helped and there were two occasions where I managed aeroplane arms down the hills. It was great fun and I'd definitely do it again. Today my knees and legs are a bit sore and I have one small blister but I think I got off lightly. So is that it? Have I completed my 10 mile challenge? No way - there is so much more to come. a team 10 mile challenge, another half marathon, a sub 60 minute 10k and my little girl's first 5k race are all to come this summer. I can't wait.